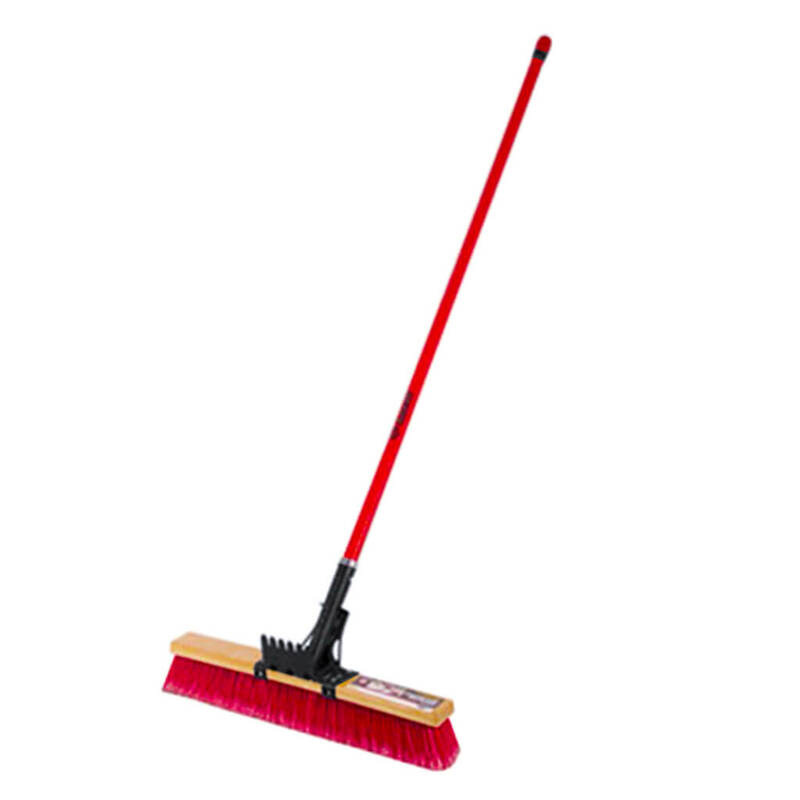 Industrial grade roofer's brush 24 in. brush riveted and screwed for maximum reinforcement. Tempered steel bracket, formed and welded for more sturdiness. Ultra-sturdy profiled fiberglass long handle over-moulded with TPE for more control and comfort. Perfect for sweeping shingle pebbles and removing nails. Excellent for adding the finishing touches.